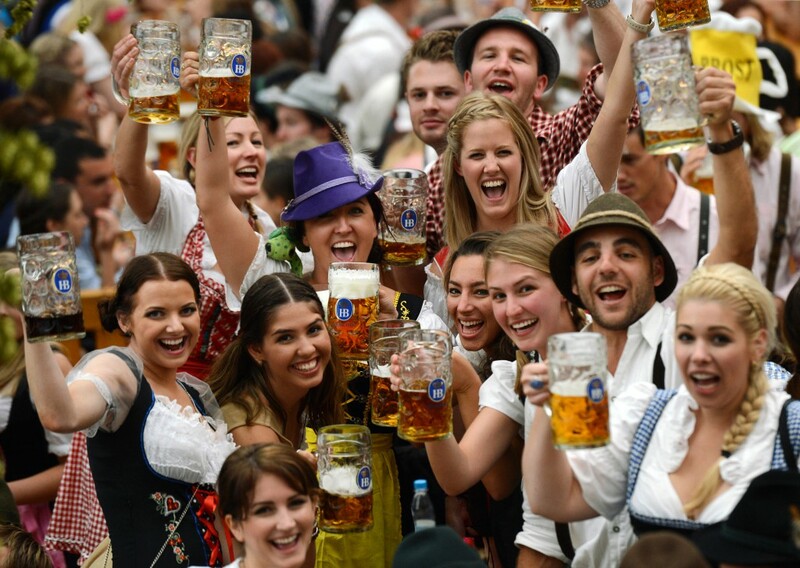 200+ Years of Beer Drinking and Folk-Music Festivities – the One and Only – Oktoberfest! Every year Oktoberfest takes place in Munich, Bavaria, Germany, and during these 16 days, more than 6 million people are attending this event. It’s the world’s largest Volksfest – beer festival and travelling funfair. It usually starts in the middle of September, taking advantage of warmer weather, and ends in the first week of October. This year the opening ceremony was held on 19th September and the festival will close on Sunday 4th October 10:30 pm. Oktoberfest has its roots back in 1810 when the Bavarian Crown Prince Ludwig was getting married to Princess Therese von Sachsen-Hildburghausen, and in honour of this holy event, the first Oktoberfest was held on 12th October so everyone could celebrate and cheer for this wonderful event! The years after this tradition kept on repeating and eventually the festival was prolonged and moved forward into September, which now explains why Oktoberfest actually starts already in September! Drinking beer and that’s it? No! No doubts that pretty impressive quantities are consumed during these 16 wild beer festival days – it was calculated that in 2013 7.7 million litres of beer were served during the whole event! Just imagine – how many litres have been served during those 200 years! 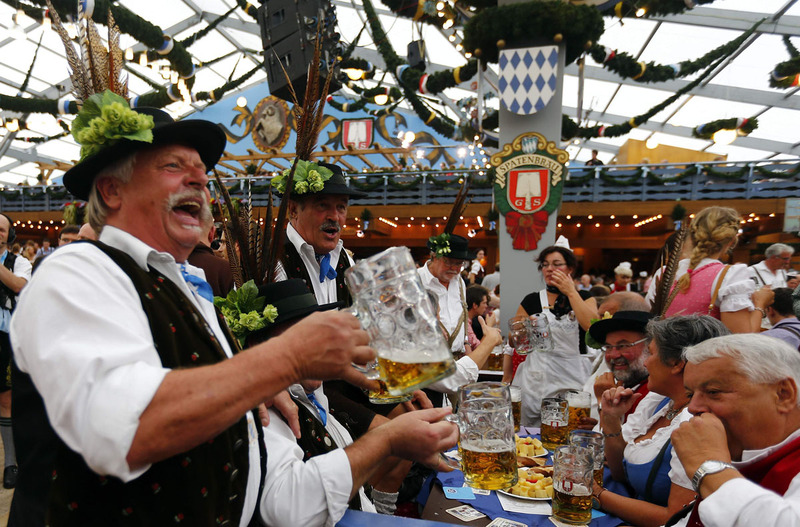 Fortunately – Oktoberfest is not only about drinking massive quantities of beer and chilling in beer gardens! Apart from that you also can enjoy a mixture of attractions – amusement rides, side stalls, games and broad variety of traditional food. You might want to try some Hendl (roasted chicken), Schweinebraten (roast pork), Schweinshaxe (grilled ham hock), different sausages, pretzels, dumplings and many other mouth-watering delicacies that perfectly match with some good Bavarian beer! 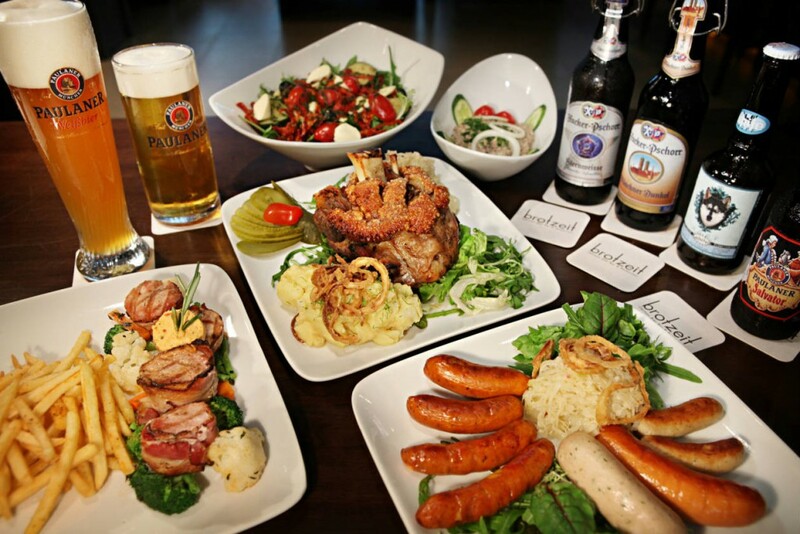 So – if you are a gourmet and love German food – this is the place to be and try everything at once! 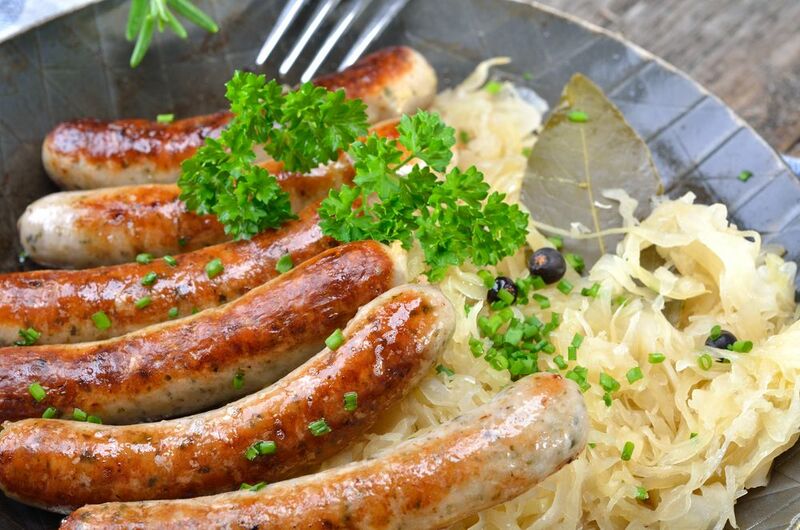 Traditional Bavarian food in Oktoberfest. 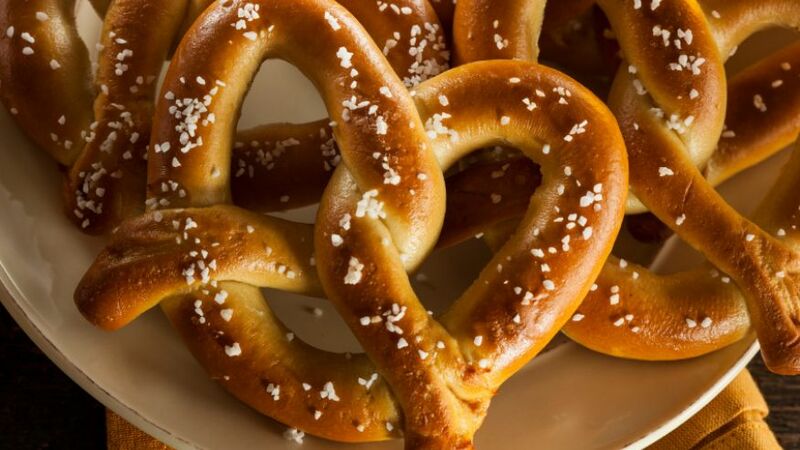 Pretzels – match perfectly with beer! 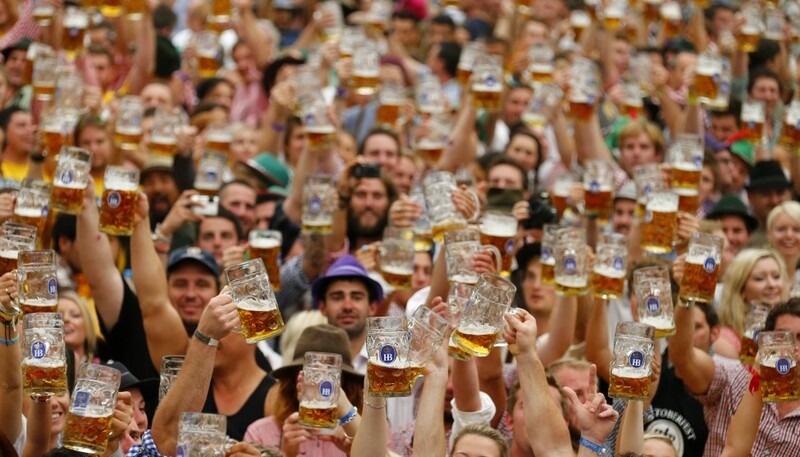 5 interesting facts you didn’t know about Oktoberfest! Today the biggest icon and object of admiration of the festival is beer, of course, but actually, the beer was introduced only in 1880 – 70 years after the first Oktoberfest! Back in the days, this festival was all about food and fairs! The beer served has on average a 7.5% to 8% alcohol content and as a result, often pass out due to excessive drinking. They forget that the same quantity of Beer has more alcohol in it. The festival covers grounds, which are about 0,5 square kilometres! In total, the beer halls have seating capacity for 100,000 people. The largest beer hall/tent has seating capacity for 10,900 people (8,450 inside and 2,450 outside), and that means a lot of noise, fun and celebration. Even though the Oktoberfest originates from Germany and is held there, it has become popular to celebrate in other countries as well. The largest official Oktoberfest celebration in the United States is held in Cincinnati, Ohio, and boasts over half a million visitors to their celebration every year. If you have planned to visit Bavaria, you most definitely have to see this massive vivid buzzing along the beer tables and terraces in Munich! It has only begun! You still have some time to enjoy the most of it!